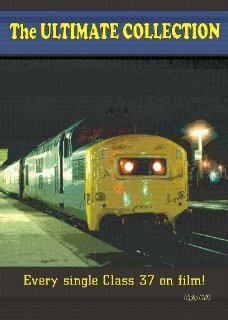 This programme is a must for all Class 37 fans! We have ensured that our final programme dedicated to these wonderful type 3s is the ultimate - hence the title. The programme and will be a TRIPLE DVD set featuring EVERY SINGLE ONE of the English Electric Class 37s on film. Whichever is your favourite, it will be here. We have been strict on the criteria for inclusion - no locos in preservation and all filmed in the UK. Indeed, almost all of the clips have never previously been seen so this is a feast of rare, and of course noisy, scenes. Even D6983 appears - in traffic for only 7 months in 1965. Locomotives are shown in sequence with a brief fact screen introducing each member of the Class. Throughout the programme, each of the 309 members of the class 37 fleet is depicted by a scene from it’s past. This may be last year or many years ago, and thus many liveries are depicted from British Railways Green and BR Blue through to sector liveries and beyond into the Privatised era. With a total running time of 4 hours 35 minutes and priced at £29.99 this represents outstanding value at under £10 per DVD.